It is widely knowns in the עולם הישיבות how זקן ראשי הישיבות מרן הרב שמואל קמנעצקי שליטא is big into health. He will not eat anything that has been unnaturally processed and sticks to a very stringent diet. מרן הרב שמואל קמנעצקי שליטא strongly opposes all vaccination and his grandchildren do the same. The proof is in the man himself – he is 95 years of age and still fully functioning, running from event to event, flying overseas …. 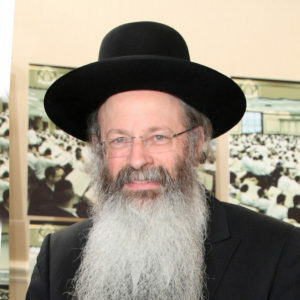 The famous Rosh Yeshiva of Lakewood הגאון ר’ מלכיאל שליטא has adopted the same lifestyle. He will not drink pasteurized milk or eat baked goods from a local bakery. He strongly opposes vaccination. With the measles break out in the Jewish Orthodox Community, many children are sitting home due to the schools expelling them for not vaccinating their kids. 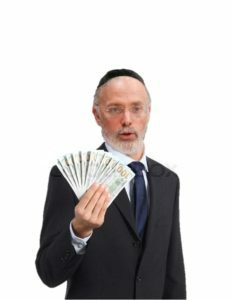 Yeshiva Ohel Torah is being sued by non- vaxer parents. Many are asking, how can it be that the Rosh Yeshiva of Lakewood is doing one thing and the local schools are enforcing an opposite policy?!?! Who is calling the shots?? Well, the one that is calling the shots is the Rosh Yeshiva’s brother, Aaron Kotler. He is the owner of CHEMED, the biggest medical center in Ocean County. In short: In Lakewood, an old Jamesway discount store has been renovated to become the ever-expanding Center for Health Education Medicine & Dentistry, or CHEMED. In 2016, it served nearly 31,000 patients. Last year that jumped to 35,431, and given the addition of onsite mammography, ultrasound, and bone density screening, the number is expected to continue to grow. This was the brainchild of Aaron Kotler who cashes in on it from many different angels. His latest scam was using the measles breakout to force all to vaccinate their children. Aaron couldn’t care less about his brother the Rosh Yeshiva of the biggest yeshiva in the world nor for זקן ראשי הישיבות מרן הרב שמואל קמנעצקי שליטא. The more vaccines, the more $$$ for Aaron. Simple math. Dr shanik operates the largest pediatric office in Ocean County. He directs his patients to stay far away from Chemed. In fact, any shots given at Chemed are not recorded and the chart is made to appear as if the child was not vaccinated. Apparently, politics don’t mix with healthcare so it didn’t work and Chemed is independent of any locally established medical group. You make no sense. It’s not only Aaron. It’s almost every Rov and principal and all of EY who are not beholden to Aaron. Does anyone have a credible opinion on whether or not I should switch over to Chemed’s and use their adult medical services? 1- the leboowitz/ak kimbell medical practice is a gold mine. they closed their birthing center to increase space for AK/Lebowitz patients. 2- RSK & AMK don’t use vaccines because they don’t believe in Medical doctors, only in Psychiatrics. Not to mention that Kotler stole Chemed from Rabbi Yitzchok Halberstam.